1.) I get to try before I buy. Internet shopping has it's perks but it can be risky. We all know the story: you order something, you wait, it arrives, it doesn't quite fit, you forget/ don't have time/ can't be bothered to send it back. Personally I like to see, touch and try on before I hand over the pennies but this isn't always possible with smaller brands. 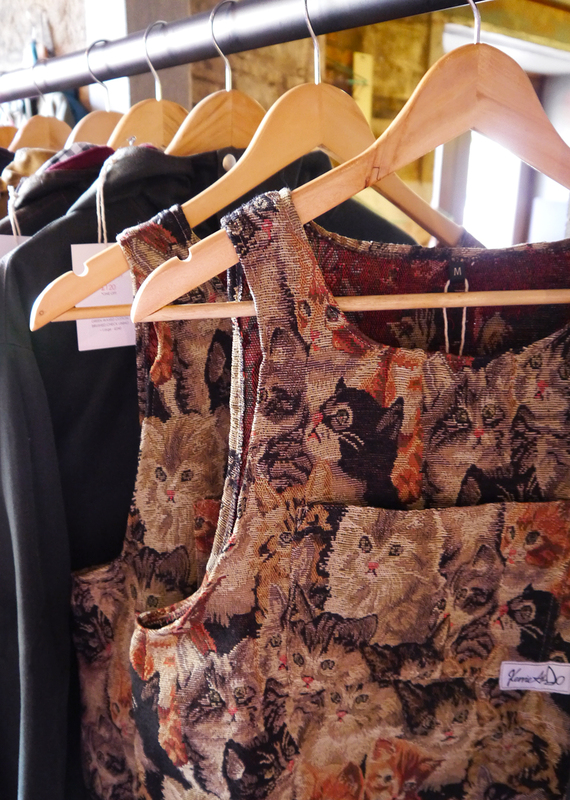 A pop up shop is the perfect opportunity to get a look at online goodness in real life. 2.) I get to meet the designers. This isn't always the case but alot of the time the person making / designing the items are present at pop ups. It's a great chance to get a better insight into the brand and feel the energy and enthusiasm that goes into it. 3.) Finding a bargain. Pop ups and sample sales can allow designers to have a clear out and get rid of older items and samples without having to photograph and list them all individually online. This means that I can get hold of some fabulous pieces without blowing my budget. So, with all that in mind, I was a rather excited when I heard that some awesome Dundee designers would be springing up for a one day event at South Tay Superstore. I knew I had to get myself along to put the above into practice. I wasn't quite the first through the door, but I wasn't far off. The back of the Superstore had been given over to Dreamland, Hayley Scanlan, Absolute Zero and Kerrie Aldo. All fine purveyors of fabulous clothing. There was an excellent mix, from vintage to mainline collections, sample sales and some excellent menswear. 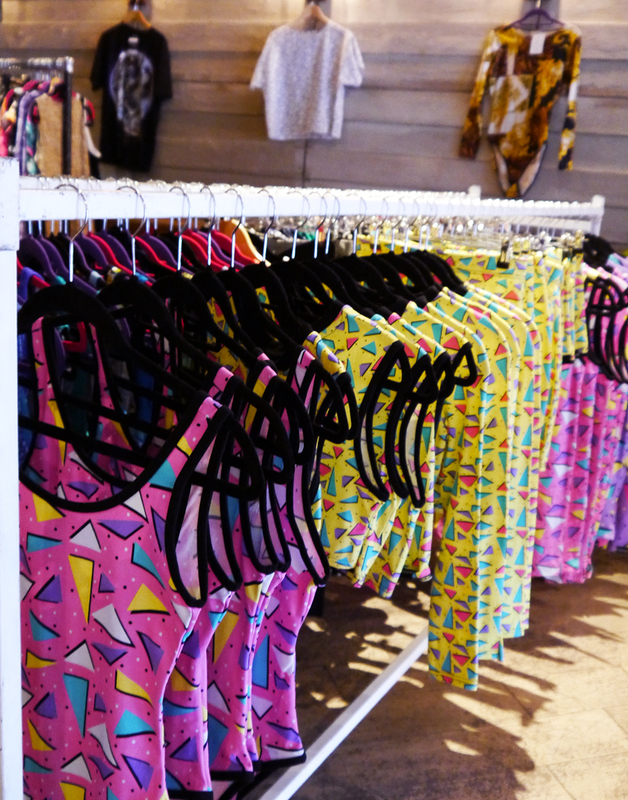 Dreamland brought along an extensive selection of vintage with plenty of 90s edge. 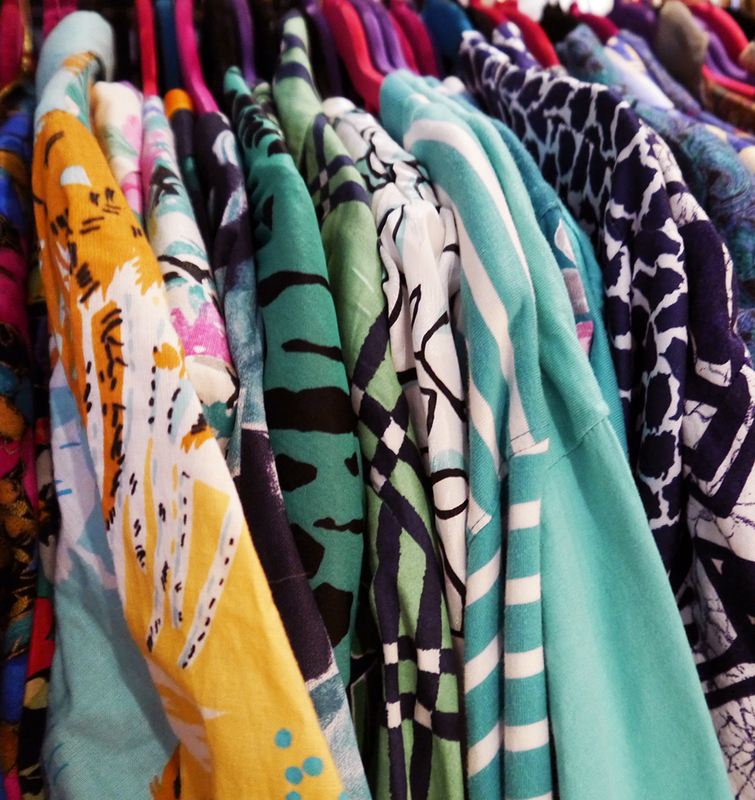 Think swimsuits and crazy patterns, EVERYWHERE! All of which nicely complimented the collection of new Dreamland designs on offer. You may remember my Dreamland tshirt dress going down a treat at Blogtacular. I tried on a few of their vintage pieces but sadly non of them fit right. 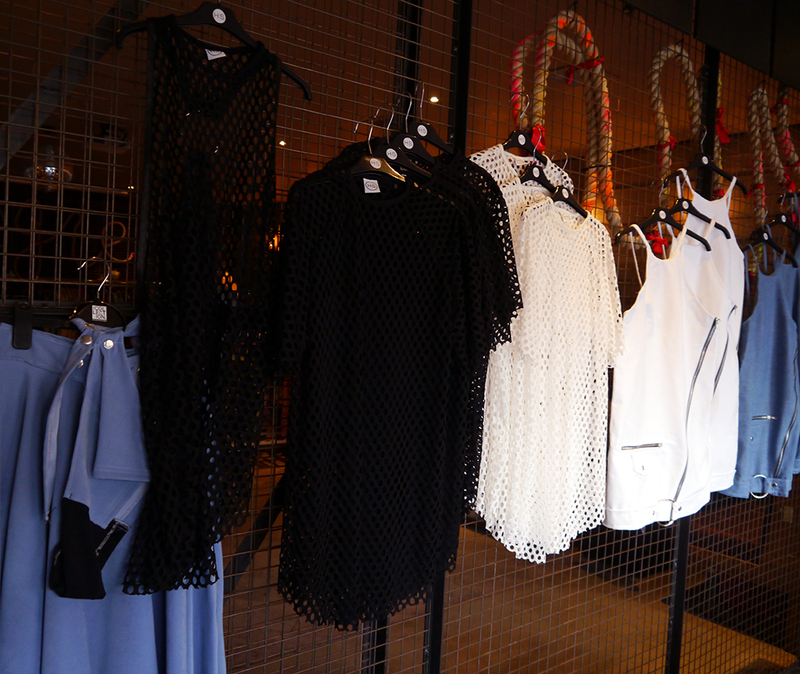 That can be the trouble with shopping vintage, I always spot lots of awesome pieces but they're not in my size. Luckily vintage stock changes a lot so I'll be watching out for Dreamland's next Dundee appearance so I can have another good rummage. Hayley Scanlan had brought along pieces from the True Blue collection, as well as a mighty fine sample rail AND the H.S. Swim collection (which sold out!). It was great to get to see the pieces in person and I enjoyed how they were displayed around the ping pong enclosure (yes, you can play ping pong at South Tay Superstore when there isn't a pop up on). 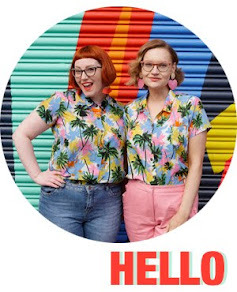 Hayley has a good record of popping up around Dundee and I always love the chance to get a look (and feel) of her fun fabric choices and designs. Absolute Zero provided some vintage threads for the guys. Again, there was a good mix - from shoes to hats to shirts. I found a rather fabulous Nike jacket with a 1987 pattern. Being the year of my birth I was a little bit tempted but the brown colour palette put me off. It was great to see such a selection of guys vintage though, they can so often be forgotten about. Providing something for both guys and girls was Kerrie Aldo. 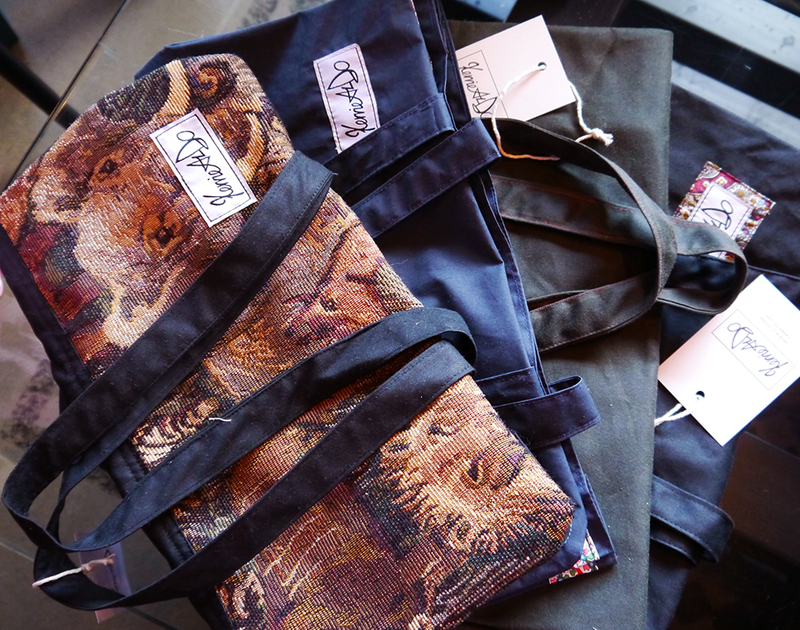 Kerrie's waxed jackets are the perfect practical and impeccably stylish addition to any wardrobe. As much as I love these pieces, I was even more excited to see her new pinafores. After spotting a glimpse of them on Facebook I was pretty sure I wouldn't be able to leave the pop up with out one. I was so right! It has cats on it for goodness sake, how could I not! 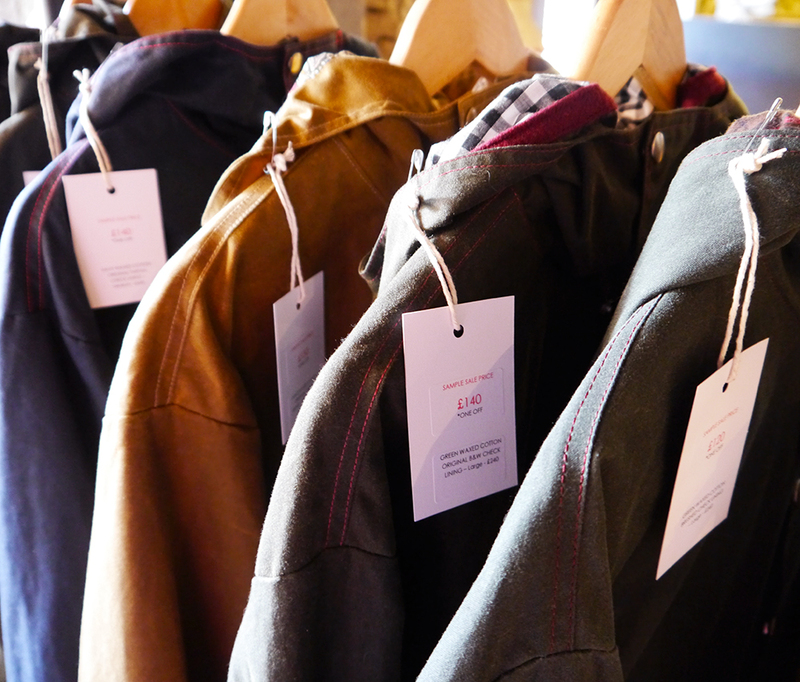 She also had an excellent collection of sample sale jackets and some lightweight waterproof pullovers. I don't usually like such useful garments but Kerrie's are so well constructed. Last I saw, she had just a couple of her sample sale pieces left over and had put them up for grabs on Instagram. 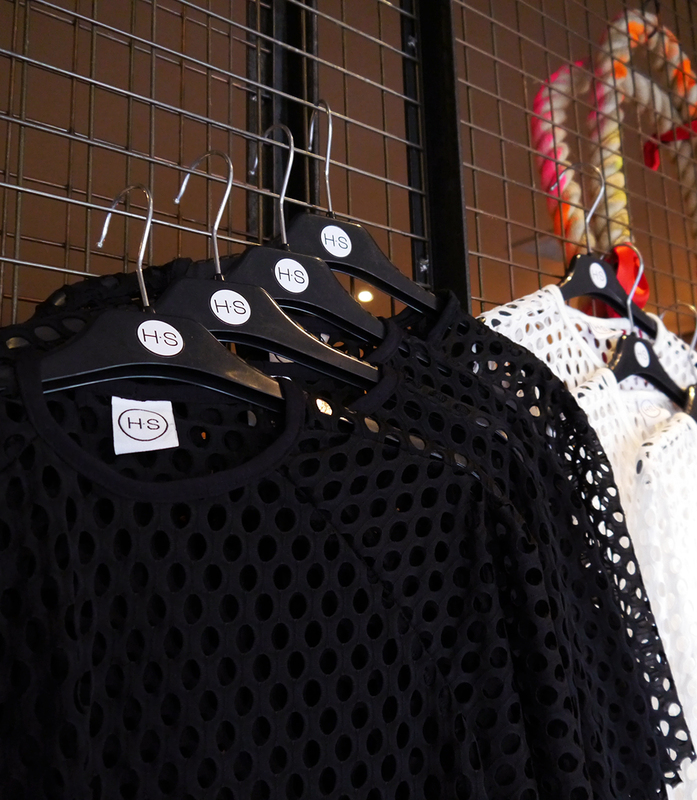 The pop up was a great way to do some Saturday shopping without just trailing up and down the high street again. Plus they timed it perfectly to be the day after pay day. I'd definitely like to see more of these Dundee designer get togethers please.